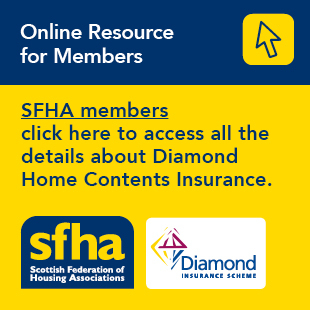 Kingdom Housing Association’s Development Team is implementing a £65 million investment programme that will deliver nearly 550 affordable homes for the Fife-based association and its housing association partners. The investment programme, which is significantly subsidised by the Scottish Government and local authorities, represents the busiest ever year for Kingdom’s development staff. The first six months of this year saw work begin on 11 sites that will deliver 205 new homes for Kingdom and 84 new houses for partner associations in Lochgelly, Levenmouth and Perth. Over the next six months, work will begin on another seven sites that will yield a further 259 homes. The houses have been designed to suit local housing need and to meet Kingdom’s high energy efficiency and security standards. They are of various tenures: for social rent; mid-market rent and for sale through partnership support for regeneration. “Our current business plan is to develop around 1,100 homes over the next five years, and this year will see very positive progress towards achieving this ambitious goal. Pictured: Kingdom’s Durham Wynd onsite.